A building’s most vulnerable part is its glazing. Windows, while architecturally necessary, expose building occupants to certain dangers. Burglars gain access to homes and offices through windows and glass doors. A detonated terrorist bomb will cause nearby glass to implode at high velocities in tiny shards. Flying debris from hurricanes can smash through a window and cause harm. Thankfully, there is a solution that is affordable, beautiful, and practical! Safety & Security window films by 3M reduce these dangers significantly. These sturdy security films are available in mirror-like reflective or optically clear finishes, and are applied to the inside of a glass door or window. In a scenario that the glass would break, 3M Safety and Security window films will hold the glass fragments in place. A homeowner’s or business owner’s worst fear is unwanted entry. Needing only a few seconds, burglars most often gain entry through a window or glass door. However, because 3M window safety films hold glass in place, more time would be required for a robber to gain access into your home or office. Given that delay, the would-be thief is most likely to move to another target or be caught by authorities. In today’s world and throughout history, terrorism has been a real threat. During the terrorist attack on the Pentagon on September 11, 2001, 3M was credited with saving many lives because of Safety and Security Window Film. Safety films for windows like these, otherwise known as Fragment Retention Film, offer ideal protection during emergencies like terrorism attacks. Glass located near an explosion may implode at high velocities in tiny shards, acting as daggers, and prove fatal to building occupants. In fact, this is the second highest cause of death in a terrorist attack. 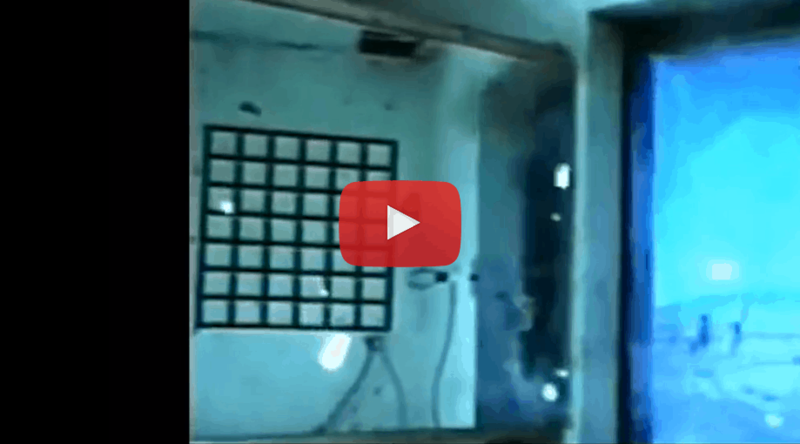 In the event of a bomb blast, the possibility of the entire glass pane being blown inward is greater after the installation of 3M window film. While this is still safer than glass imploding in tiny shards, the use of an impact protection adhesives (IPA) attachment system decreases this likelihood. An attachment system’s main purpose is to anchor the film and glass to the window’s frame. In doing so, an IPA attachment system also deters forced entry attempts, as it makes it more difficult for someone to kick out the pane of glass. A wet glaze attachment system requires a bead of Dow 995 Structural Silicone Adhesive to be applied to the entire perimeter of the glass. In most cases, the window gasket is trimmed or eliminated and the caulk bead takes its place and provides the necessary insulation. This attachment system often goes unnoticed by observers. 3M Fragment Retention Films are secure films for windows that have been tested to Federal Government and GSA Security Criteria Standards. This testing showed that the threat of injury due to flying glass is greatly lowered after the installation of 3M window film. As we all know, there are a few small prices to pay for being located in coastal areas, one of which being natural disasters. Coastal areas are subject to natural windstorms such as hurricanes and tornadoes. These high winds propel miscellaneous debris at high speeds. Many times this debris can come through a home or office window and threaten the safety of those inside. Because 3M’s window safety film helps to holds glass in place, building occupants are now safer. These films have been tested to Miami-Dade standards and have passed the small missile impact test. Recent tragic events have highlighted the need for better school security. 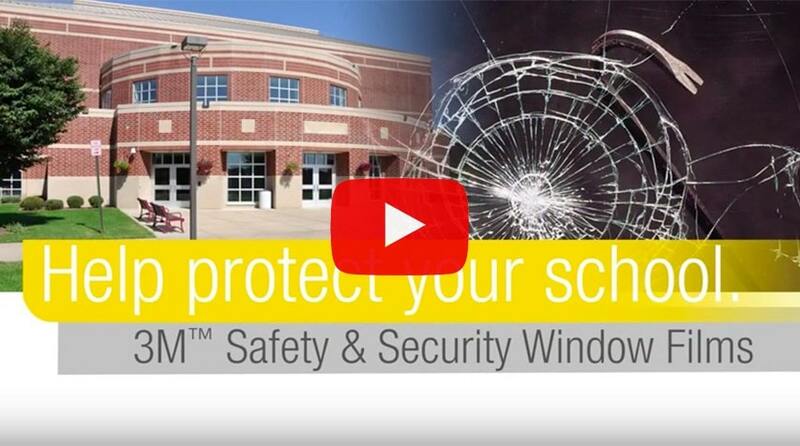 3M safety and security window film can help make schools safer for students, teachers, and staff. When security window film is installed on glass windows and doors, it is more difficult for armed intruders to gain access to the building, which gives first responders more time to arrive on scene. Interested in learning more about how our Safety & Security Window Films can increase the protection of your home or office?